Loving husband of the late Josephine nee Dybas. Special great-uncle to Kristie, uncle and great-uncle of many nieces and nephews. 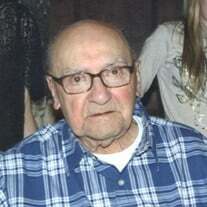 The family of Mr. Edward J. Paluch created this Life Tributes page to make it easy to share your memories.